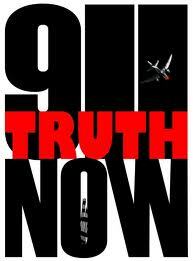 For a while now, I have NOT believed the governments version of the tragic events on 9/11. It was a sad day and forever changed our world. I believe it was an inside job and the reasons behind it are related to our financial system, NESARA, IRAQ, Afganastan and the loss of our rights. There is a movement to get the word out by some courageous Engineers and Architects who know how buildings are built and what a controlled demolition looks like. Article - "New 9/11 truth documentary among 'most watched' on PBS this week"
PBS video documentary on 9/11 Truth - 1 hr and 31 min. Here is a blog post from GoldenAgeOfGaia.com -- 911 was an Inside Job on the subject as well. Peace and Prosperity to all!! I Know My Galactic Family is Here, Do You?